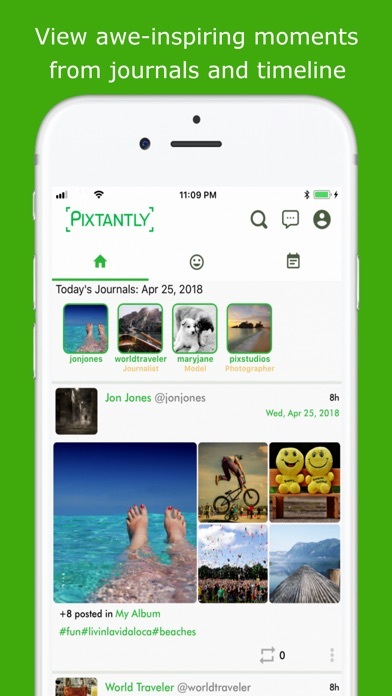 Pixtantly is a visual media journal for personal use or self promotion. No disappearing acts. Show off your stuff the way you intended with fined tune privacy options. Back to the basics of photo sharing without the upload restrictions. Everything all in one app. - Privacy first so feel free to be you with multiple privacy options. • Journaling: Built-in journal system which automatically groups your media by the date and displayed on your profile. 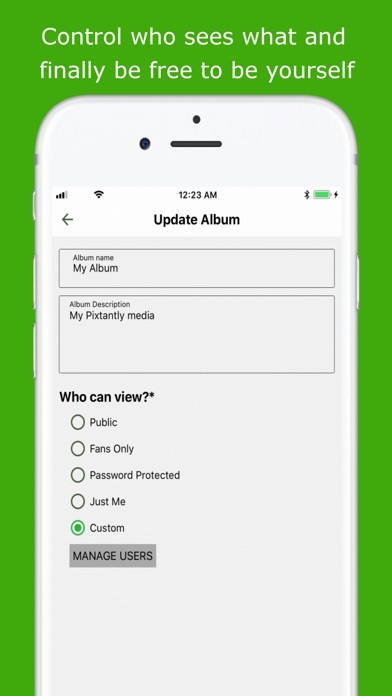 • Privacy: Granular privacy levels allows you to share your media albums with whomever you want. Feel free to be yourself. 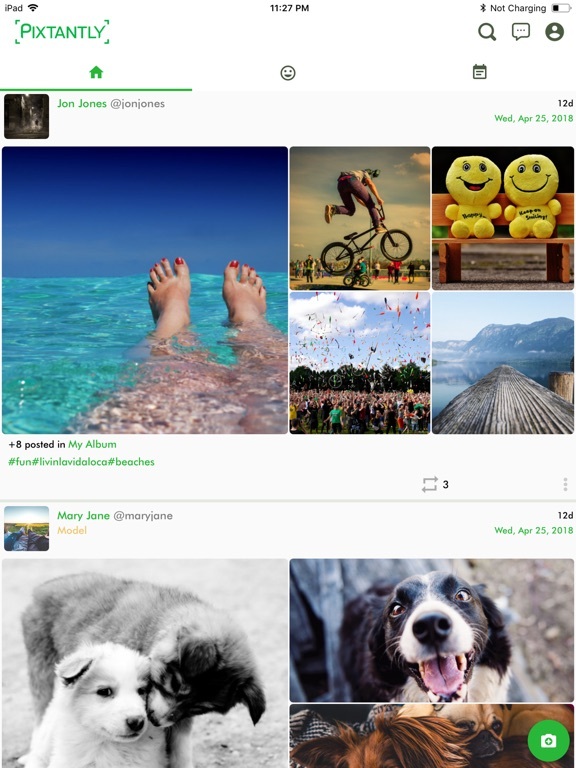 • Uploading: Unlimited simultaneous uploads so you can post as many pix as you want at once. e.g. 1 or 50. It's your choice. 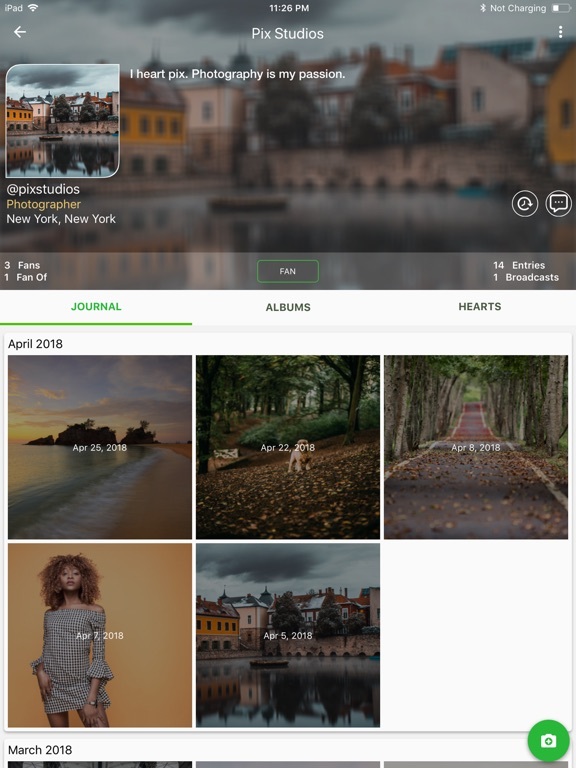 • Albums: Create albums with custom privacy levels to organize your awesome pix or use albums as a portfolio to promote yourself or your business. 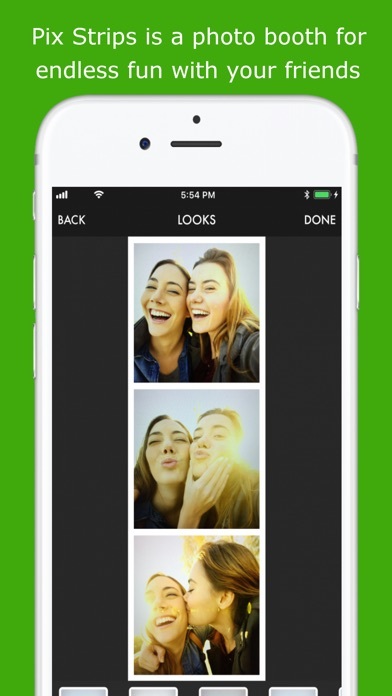 • Pix Strips: Use the photo booth feature to create unique photos from different templates for endless fun with your friends or by yourself. 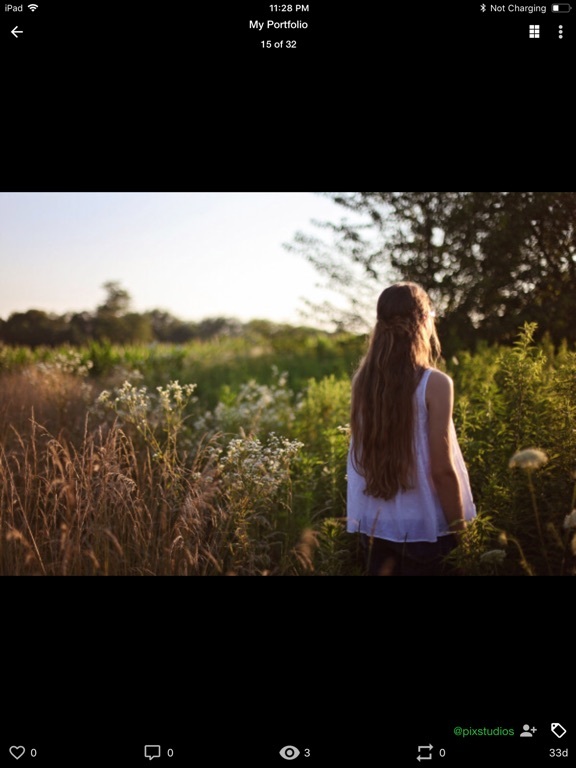 • Photography: Flexible formats like square, portrait or landscape, no cropping unless you want to. • Echo: Create small videos that loops back and forth with option to save as GIF. • Audio: Record audio if you only want to be heard and not seen. 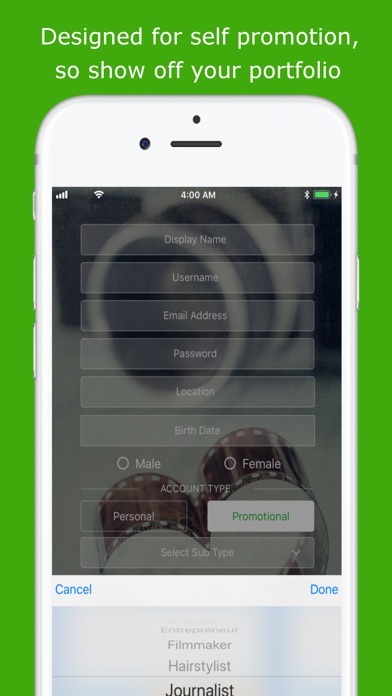 • Broadcasting: Broadcast live to all of your fans or friends, choose a circle or choose individuals. • Events: Create personal or promotional/touring Events so you can make it easier to organize social gatherings with your fans or friends. • Messaging: Pixtant Messaging provides a full messaging system with in-app contacts to easily chat with other members. • Advanced Searching: Advanced search lets you search by things like account type, location, keywords and other things so it's much easier to find other accounts to become a fan of. • Editing: Add looks (filters), create memes, or edit your pix within the app. • Protect Media: Optional watermarking of your media to help deter image/video theft. • Hands free pinch or double tap to zoom in on your pix in the media vew. • Push Notifications - Sending push notification for actions performed in the app and is essential for best experience.